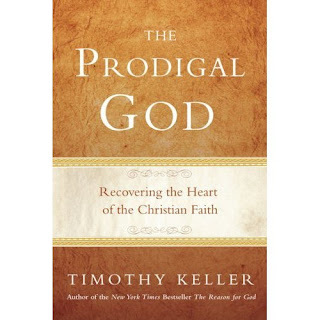 I recently read The Prodigal God by Tim Keller. It is a wonderful book that studies in detail the Parable of the Prodigal Son, which would be better titled the Parable of the Lost Sons. Both sons were lost. The younger wanted to get his inheritance early and live it up. He wanted to be free of the rules and restrictions of his home and community, and he traveled to a distant land and lived a life of personal pleasure, a life of sin and spending. He was self-centered and lost. The elder son was lost too, although he stayed at home. He sought to be moral, live by all the rules, and do all the actions expected of him. He believed he had earned the father’s love and was owed his inheritance. He didn’t like it when his brother came home and received a welcome back party by the father. The older brother was self-righteous and lost. I see the same heart attitudes of the younger brother in myself. I can be self-centered and want my freedom. I can think real happiness is out there, outside the bounds of God’s laws. Can you relate to the younger brother? I mostl closely relate to the self-righteous elder brother. I can think I have earned God’s favor and I deserve rewards from him because I obey him. I can be jealous of others when they are honored and I am not. I can refuse to make personal sacrifice for the good of others. Can you relate to the elder brother? I see myself throughout this parable? Can you see yourself too? How?